Life is full of expectation and waiting. Waiting for a friend's train to arrive, for dinner to be ready, for leaves to turn color in the fall, for a baby to make its debut in the world. Just as Memorial Day Weekend marks the unofficial start to summer across the country, the first sign of cherry blossoms blooming along the streets of Washington, DC is accompanied by joyful giddiness. Spring has arrived. Picnic blankets emerge, evening strolls become a daily activity, and alfresco dining tables pop up along even the tiniest slivers of sidewalk. DC has fully embraced the new season. Now, a few weeks after the first blooms, and since these pictures were taken, all but a few have turned bright springy green. The flowers may be gone, but their promise of better weather, coming summer, the unofficial changing of seasons remains. Are you in a season of expectation or waiting? Of feeling stuck in the in-between? Do you know that whatever is next, there is a perfect plan? Jesus promises new life, like the beautiful spring green that follows cherry blossoms. I am trying to rest in this promise, embrace each day as it comes, and worry less about the next steps. I don't live well in the waiting periods. Knowing this is half the battle, right? 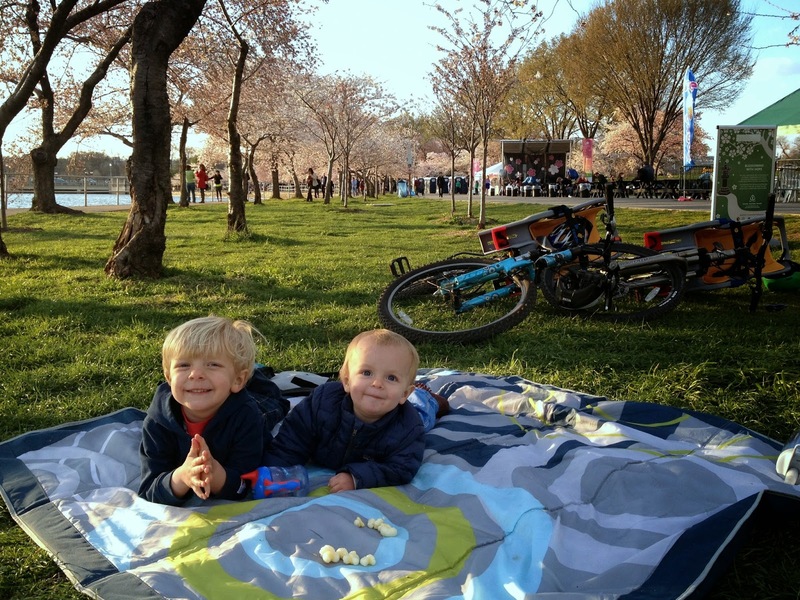 For our family, spring means picnics and bike rides. One afternoon, we packed dinner and blankets and water bottles, put on sneakers and jackets and helmets and waited for Mark to get home from work. Yes, it literally took us all afternoon. Getting out of the house is never easy with kids. Adventures are often few and far between., but when the moment arises, we try to jump. 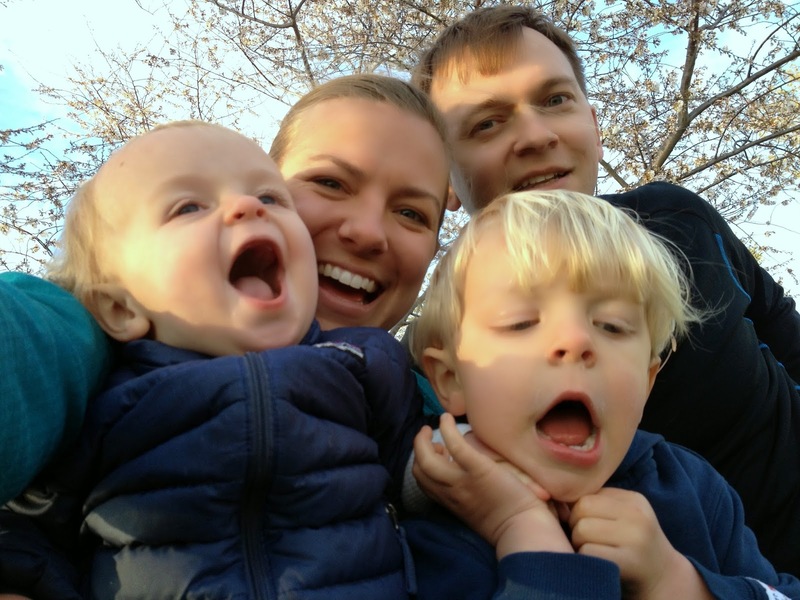 As soon as he walked in the door, we hit the ground running, loading up the bikes (this takes a bit longer with kids in tow) and set off for a family adventure by the tidal basin. Behr and Hudson were thrilled to be back outside at dinnertime. Mark and I were happy to be stretching our legs instead of our patience. It was a bit windy, fresh pollen had us sniffling, and the boys hardly ate, but we are making memories. We are making memories, day by day. I may not comment on all of your posts but I just love them and the way you write and the reminders you give, like today, to worry less about the next steps!!! Beautiful pictures!! !